One of the new mechanics of Pokémon Sun and Pokémon Moon is the S.O.S. Battles, which causes the little monsters found to call reinforcements when weakened during combat. It sounds annoying, but you can come face to face with that rare creatures that comes to help the other savage. One of them is Salamence. You can catch one before you leave the first island! 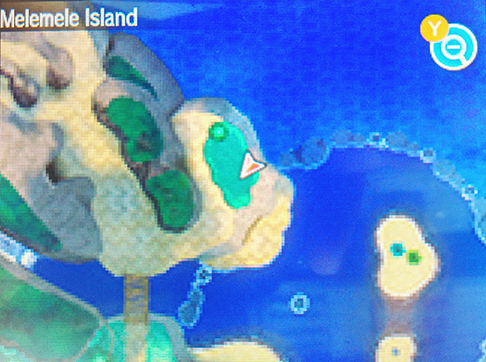 First, win the first Trial of the game, gaining access to Route 3 on Melemele Island. Once on it, walk to the right side of the mountain and follow the grass section shown in the photo. In this area you can catch the dragon Bagon. It may take time, because your chance of appeareaing is very low, but do not give up! Once you are battling with Bagon, leave him with little HP for him to ask for help. If you are already in Akala Island , you can go to Melemele, where you will be able to buy Adrenaline Orbs in stores. They help, since they increase the chances of the opponent initiating a S.O.S. Battle. If the dragon does not call for reinforcements at the start, use blows that do not cause damage. He will often call other Bagone, so go knock them out. 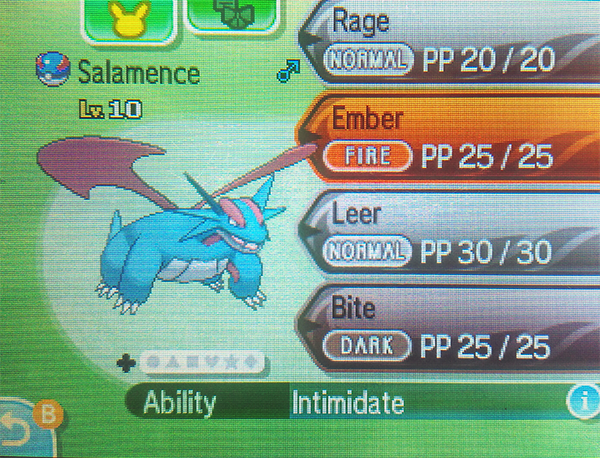 Eventually, a Salamence level 10 or similar will appear in the field. 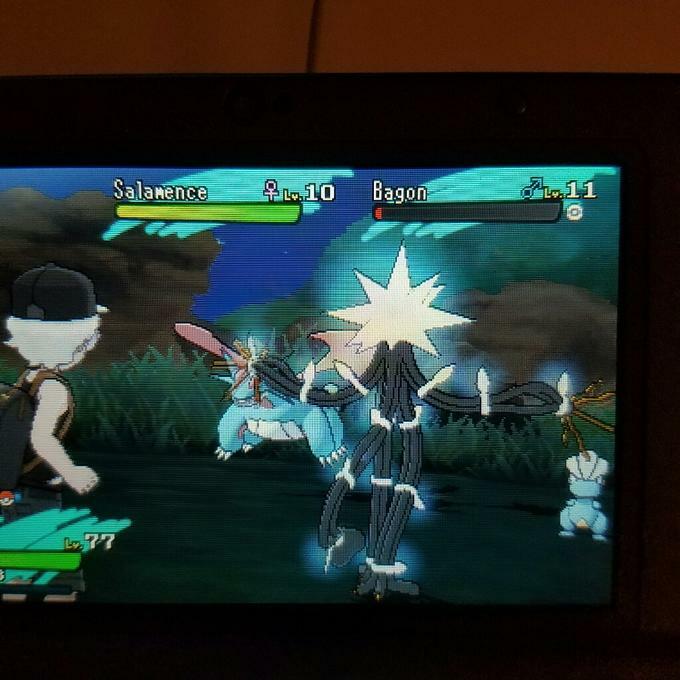 It’s interesting because Bagon only evolves into Shelgon at level 30 and level 50 into Salamence. When the said-one whose appear, knock out the first Bagon and shoot Poké Balls in Salamence until it’s yours.